The Pine Course is the favorite of the long hitters at Oak Gables. With 1 par 5 and 4 par 4 holes it allows the big hitters to let it rip and at times go for the green. The undulating fairways offer interesting lies and scenarios to challenge all golfers. 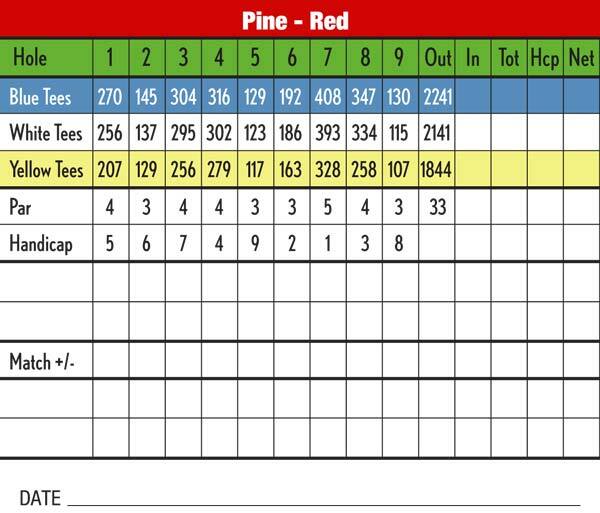 With a couple of blind shots on holes 7 and 8, course knowledge plays a role in any successful round. Short par 3 holes 5 and 9 offer the golfer a chance to make up for any mistakes made with the chance of making a par or even a birdie. The biggest challenge on Pine comes on the uphill par 3 #6. 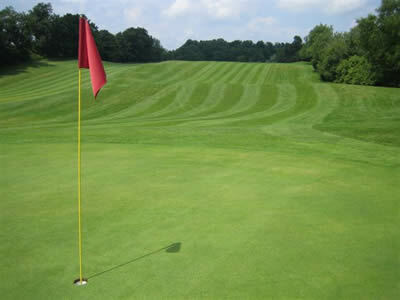 A long iron or even a wood is required to even come close to the green in regulation.